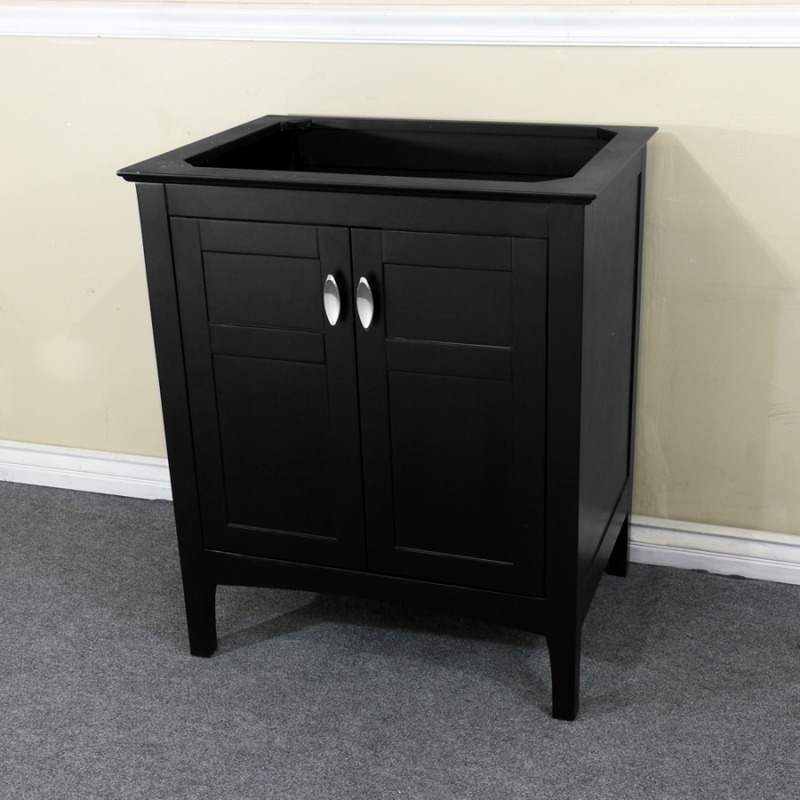 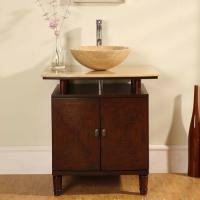 This single sink vanity base is finished with a dark espresso finish that will make a bold statement in any bathroom. 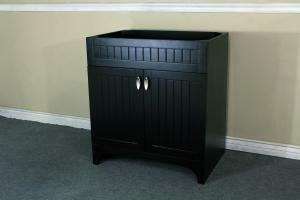 The brushed nickel finish of the hardware pulls enhances the dark tone of the piece. 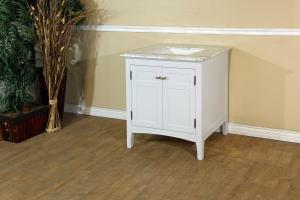 The double door cabinet has an interior shelf for added storage functionality.